12 legal-size 3D full-color maps in a booklet format/24 pages when folded! Download the files, print, assemble, staple, fold and trim. A beautiful slim little booklet that will fit in your large Bible case or looseleaf. Easy to use. 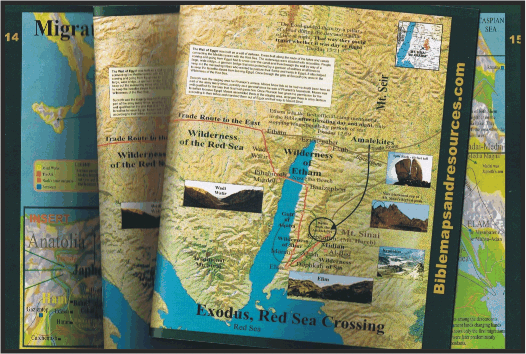 NOTE: The maps are in booklet format which means they are in two parts on separate pages, not suitable for stand-alone maps. NOTE: Can be ordered already completed for $10.00US per booklet plus shipping, slightly cheaper for quantities. We use a durable glossy paper for these booklets. For more details contact us HERE.